Even in a world of digital marketing and social media engagement, printing brochures and flyers still make quite an impact. One survey (from Hubspot) even showed that 37 percent of marketers stated visual marketing as the most important form of content for their company. 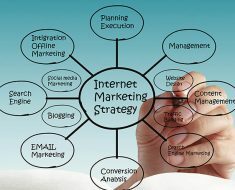 In the world of Internet marketing, you will see a cluttered space with many different companies competing for more eyeballs to get to their website or blog. However, the world of print marketing has been rather quiet lately, which means you could make a much bigger splash and impact on your customer base by bringing more focus to print materials. 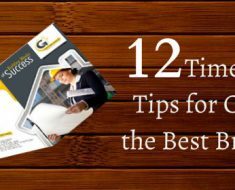 Nonetheless, you won’t see any success from creating flyer printing items if you don’t put in the time and effort to ensure the design is effective. In order for your flyers and brochures to make an impact and get more sales, the design will be key. With all the online printing services available now you can great quality, cheap printing done very fast so cost is not the barrier it once was. Below we outline the top key strategies for improving the quality and design of your flyer printing as well as preparing them for high quality, cheap online printing services. Let’s get into it! You will need to identify a communication objective. You need to know what your flyer is going to be centered on and what promotion the marketing material should focus on. Is there an event that you’re trying to promote? Are there any particular actions you want the reader to complete? Is there a problem that you want to provide a solution to? Once you have the answers to these questions, you will be able to put together the content necessary to engage your audience. Speaking of audience, you will also need to figure out who your target audience is for your printed flyer. 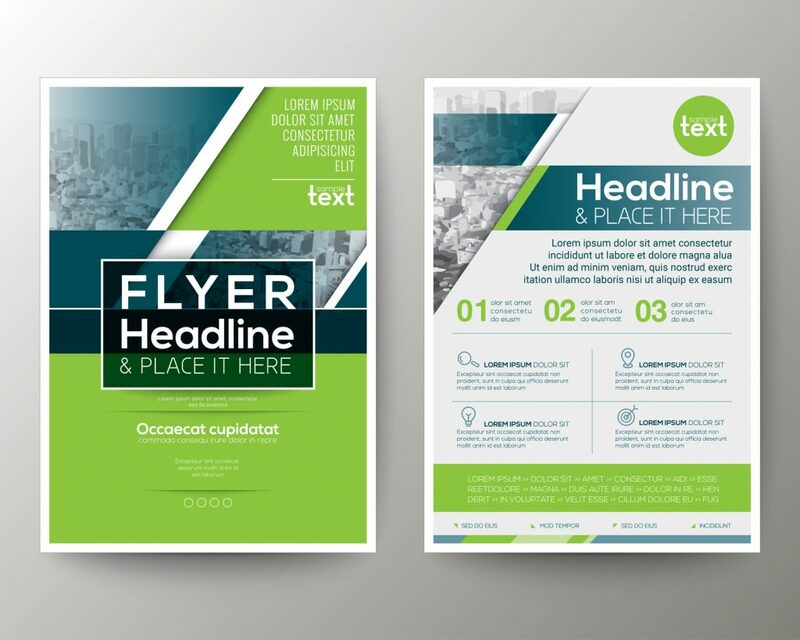 When you start working on the concept and ideas of your flyer or brochure, you may want to brainstorm and sketch out a few ideas before putting any text in your document for printing. You may also want to step away from this project for a day and wait until a brilliant idea comes to you for an even better brochure or flyer. Often the best ideas come when we aren’t working on a particular project. When designing a brochure or a flyer, you will need to incorporate bright colors that attract and engage your audience. In fact, research shows that color can impact the emotion of an individual. Reds bring more passion and energy while the color blue shows peace and green exhibits the freshness of a product. Companies like McDonald’s or Whole Foods use specific colours in their logo to position themselves as a brand their customers will remember. Going down the colours of the rainbow, the colour red represents excitement and energy while orange stands for affordability and fun. Yellow represent cheerfulness and warm well green aligns with health. Dark blue colors show authority and trust while purple displays creativity. If you are running a restaurant or selling food through a grocery store, you may want to focus on red and yellow colors as these promote hunger. If you are selling men’s clothing, the colour blue may be a solid choice for your flyers or brochures. You will also want to make sure your colours compliment each other instead of choosing sub-par combinations like orange and green. When thinking about creating an effective promotional flyer, you will need to consider the impact the font will have on your audience as well. When choosing the best font for your flyer, you will need to pick one that is easily readable from a distance because you never know if a brochure will attract a customer looking around your store. The size of your font will also be important for your audience. Smallest size you should ever choose for your brochure or flyer is 12 at a minimum for body text. 18 Points and larger is generally good for Headings. Balance is important so – step back and take a look at the page to see if it feels balanced. Also if you can afford the space – use large margins. Good use of whitespace always make a page look better. Be sure to choose a heading font size that is large enough to be read from at least two feet away. Also, you may want to consider using at least two different font styles to make your flyer printing product more eye-catching but most importantly choose fonts that communicate the right mood for your piece. There are lots of Cool, Fun looking fonts that might be great for promoting a Sale on kids toys but they would be completely inappropriate for a serious brochure about a Financial Advisor or similar. Here’s good article about typography and choosing the right fonts. The sizes of your font can also vary. You may want to have a larger size for the most important information and a smaller size for an additional description. When making a business flyer or brochure, be sure to add your company logo in a position where it can stand out clearly. As a general rule of thumb, leave at least a 1/2″ of clearance on all sides. Never crowd you logo with other elements. If you have colour or an image behind your logo you will want to make sure it has a transparent background in which case you should definitely be using a vector format for your logo (.EPS or .AI). There may be a temptation to use .PNG because you have it already for your website but it is in RGB colour mode and printing uses CMYK so the colour of your logo in print will be very unpredictable. 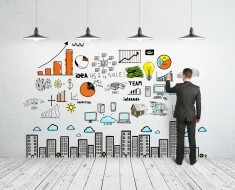 You want your customers to immediately recognize your logo and connect it to the products or services you sell. You can add your logo either at the top or bottom of your flyer next to the company name and address. When you start thinking about what to add to your printed flyer, you will absolutely need to answer the question: why does this matter for my customers? Your marketing material needs to either answer a question or provide a solution to a common problem that your target demographic faces. Some of the typical things that your flyer will need to include is an image, contact information, possibly directions, and definitely a call to action. That call to action may me as simple as “Call Today” but it is important. A call to action tells the reader exactly what you’d like them to do next. An image will make your flyer printing end product stand out more. Having brochures or flyers that are pure text will not entice your reader to keep going. Make sure that your image communicates the message that you want to convey to your customers. If you are a restaurant or coffee shop owner, you may want to advertise food such as a hot dog or a pastry on your flyer in order to get more hungry customers interested in your food. You can steer them toward your website or directly to your store to buy the items you’re selling. 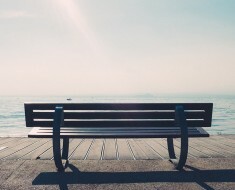 Create a call to action that brings a sense of urgency to the reader. For example, you can add a coupon that expires within a month or tells them about a sale you’re having that lasts only one week. There are several different types paper to choose from when you are ready to finalize and print your flyers or brochures. When you are working with a printing company, you will need to let them know what type of paper and the quality of the paper you want for your flyers or brochures. If you use online printing services you will be presented with the various options available for your project. It makes the process very easy with just a click or two. Paper density is one thing to consider. A thicker paper may look more professional, but it costs a little more. If you are doing a high volume mail out, you can go with light stock light 80 lb. If you are handing brochures out to customers personally, go with at least 100 lb. paper. It looks great and when you hold it up to the light you won’t see through to the other side. You will also need to decide whether you want a glossy or matte finish for your flyer or brochure. A glossy finish tends to be the most popular as it makes the colours more vibrant. Generally textured paper is great for letterhead and specialty printed items. You could consider it for your flyer depending on your project but know that dense colour blocks and photo images usually don’t look good on textured paper. However, if you have really nice typography in your piece, it may be something to consider. Presumably you have made your artwork to the exact size that you want it printed. If not, make your it is the exact size and if you have images that you want to print right to the edge of the paper make sure you add an extra 1/8″ for bleeds on all sides. In our opinion, InDesign or Illustrator by Adobe are the best software choices for this type of work. Many like to use Photoshop but I suspect it’s because they are they are familiar with it already. If someone takes the time to learn InDesign and Illustrator I can’t imagine why they would ever want to do layouts in Photoshop unless there is complex imagery that could only be done in Photoshop. Here are screenshots of each that demonstrate how your set up should look for an 8.5″ by 11″ flyer with bleeds. Be sure your document setup has these settings before you send them off for printing. Thescreenshot below shows the “Document Setup” dialog box from InDesign. In most cases, the printing service that you are sending the files to will want to receive a Hi-Resolution PDF file. This can easily be exported from any of the programs mentioned above. 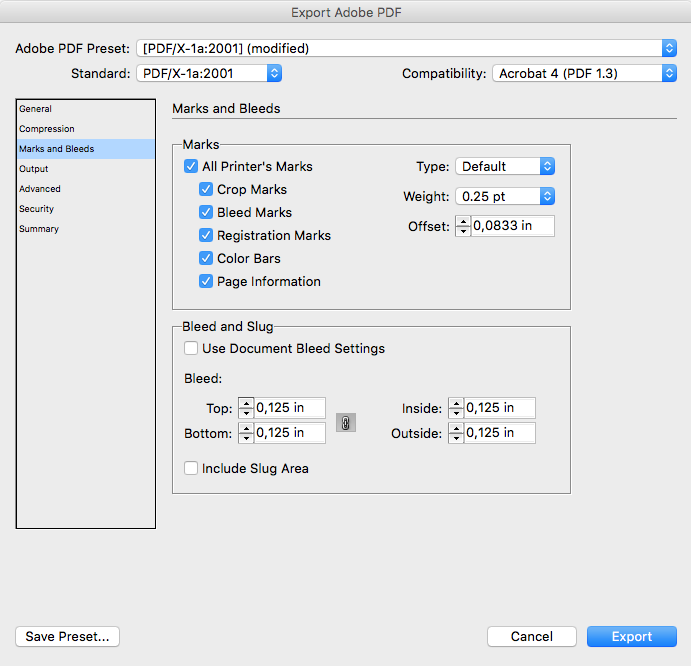 Your printing service provider can supply you with information on what settings to use but generally the best option is to Save or export as PDF/X-1a. This is a preset that you can choose in any Adobe program. If you want a poster, check on the size options with your printing service provider. You can use the same 1/8″ bleed setting for all sizes of documents including business cards. There you have it! 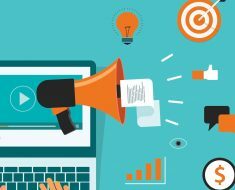 If you follow these tips, it will help you have a successful print marketing campaign and save some cost by doing it yourself. We hope this information has been useful for you! For help with digital marketing visit OCEANONE Design, our sister company. Do you have any more questions about creating flyers or brochures? If so, be sure to contact us. ClearPrint offers affordable high-quality printing and expert graphic design services. Join our mailing list for our latest Special Offers and updates.